It’s a situation many people have found themselves in during springtime. 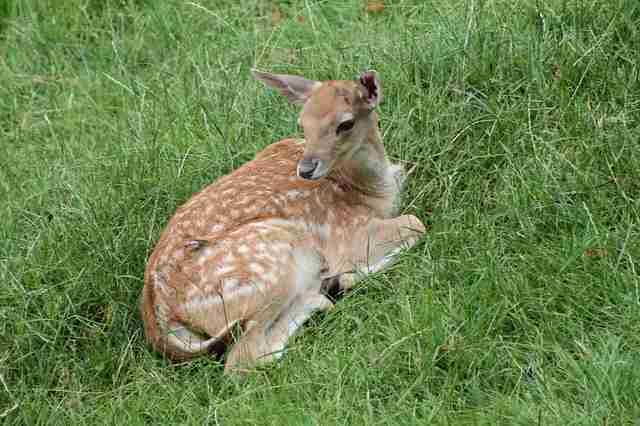 You spot a tiny, days-old fawn lying in the grass, seemingly helpless and unable to stand. Her mother is nowhere in sight, so you want to take in the youngster for a few days to nurse her back to health. You buy formula, bottles and bring out old towels. You become invested, passionate about saving her life. Not to mention, she’s adorable. But you just might have blindly kidnapped the fawn from her mother — almost completely crushing her chances of survival. 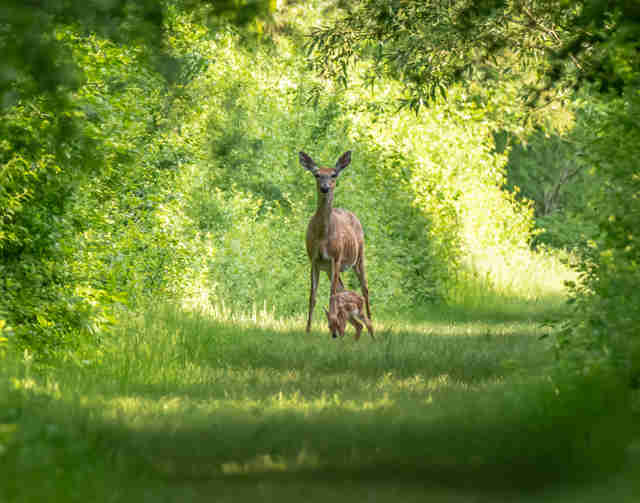 This is a predicament that professional wildlife rehabilitators are constantly facing each spring, as mother deer usually leave their fawns for up to 12 hours per day to forage for food. 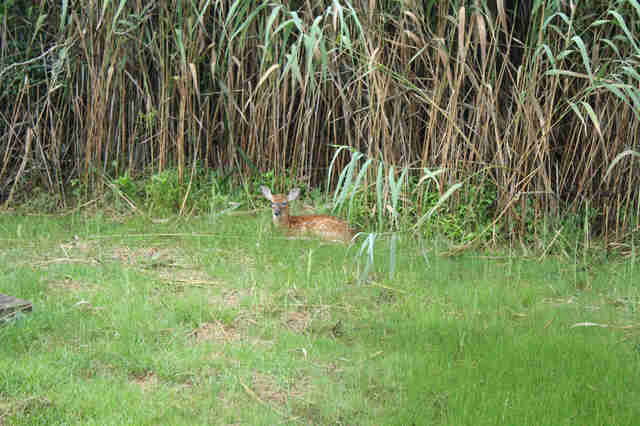 Since newborn fawns are typically too weak to keep up with their moms for the first few weeks of life, they rest in vegetation while she’s gone. Unfortunately, this can give people the impression that the fawn has been abandoned, and many will jump in to “help” with good intentions. In many cases, those intentions can be deadly. 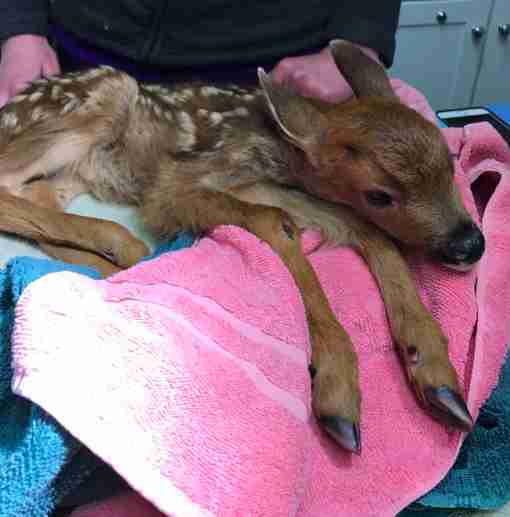 A family had taken in an “abandoned” fawn and fed him goat milk from a bottle for three days before contacting the rescue in urgency. By then, the fawn was weak, dehydrated and had been twitching. He died within 15 minutes of the family bringing him into the rescue. “With two rehabilitators and a veterinarian here, we could not save him,” they said in a Facebook post. “We went to work on him immediately, gave fluids, warmed him, stimulated him, and he even drank a little deer milk." In almost all cases, a mother deer will return to her baby by the end of the day. Until then, fawns have the instinct to lie down almost motionless unless their mother approaches — which is also a defense mechanism against potential predators. If you spot a dead doe in the vicinity of a lone fawn, or if a fawn has been in the same spot for more than half a day with no sign of his mother, or is walking around crying or obviously injured, consult wildlife rescuers in your area for the best course of action before interfering. If they determine the fawn is in fact orphaned, they will know just how to help him. Additionally, if a fawn is found lying dangerously close to (or even in) a roadway with no signs of a deceased doe, he can be picked up and moved to a safe spot close by to continue waiting for his mom. 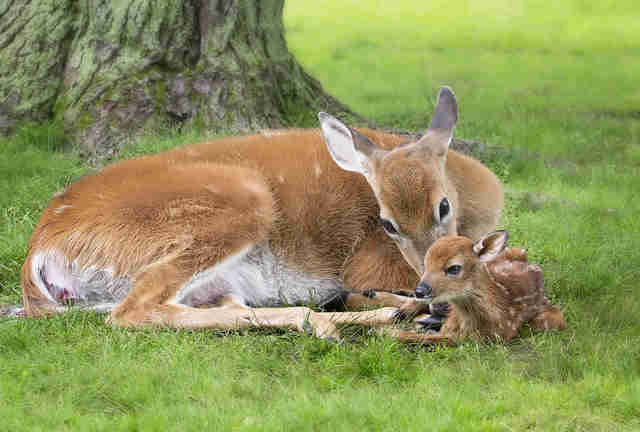 With so many fawns being born each spring — and so many of them being “fawn-napped” and showing up at rescue centers — wildlife rescuers hope people will help educate others about how quickly a “rescue” can turn tragic. To be prepared in the case you find a fawn in trouble, add the contact information for local wildlife rescues into your phone. You can also share this article with a friend.